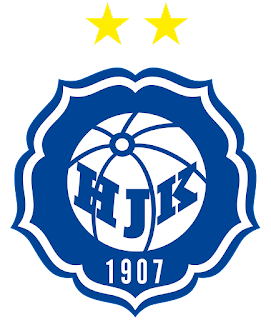 Rangers return to action tomorrow with a previously non-descript exercise against Finnish champions HJK, in a game which was arranged as part of Alfredo Morelos’ transfer to Ibrox, but which now acts as crucial match practice for Rangers. The purpose of this friendly is part of the Fins’ pre-season program, with their return to competitive action not taking place till the slightly more hospitable weather in Scandinavia that April offers, and with Rangers’ cup clash against Cowdenbeath falling foul of the climate here in Scotland, it has taken on added significance given the league match with Kilmarnock only three days later. And of course there’s a small subplot of Morelos meeting his old mates from the Veikkausliiga again. So, who is likely to play in this one? Well, Stevie clearly stated Defoe and Davis would only play a part at the weekend, but that was in reference to the trip to Central Park, so they may be surprise contenders to begin this one. But probably not. It may only be a friendly but it’s Rangers’ first outing in three weeks, and it comes only half a week earlier than the massive clash with Steve Clarke’s men, and Gerrard will want as many of his key men up and running as possible. Goldson is out, as is Grezda, and Dorrans and Murphy remain long term absences, so we’d imagine the back four will see first-choice LB Barisic restored from the cold to get him up and running. McCrorie is not suspended for this one, and should partner Jack, while the front three is slightly obvious. And Morelos has to start. The contentions we have is a possibility of Davis for Candeias, and a slim chance of Halliday at LB in Barisic’s place. Defoe probably won’t start but you never know. We should now be using the game to get game time for key players. That should include Barasic, Davis and Defoe. Didn't do as I'd hoped. Surely something approaching the first team, including Davis and Defoe, should've played the first hour. I fear we may go into Wednesdays game just a wee bit rusty, especially if we try to incorporate Defoe and Davis into the team.